On Monday, November 12, one of America’s most beloved icons died. 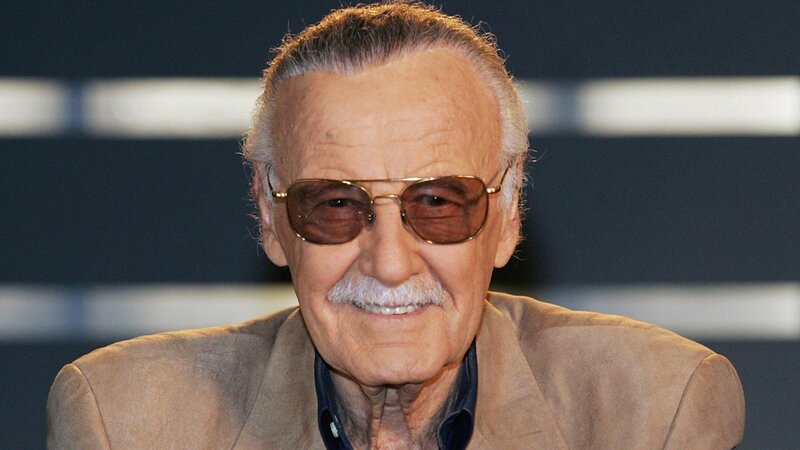 Stan Lee, the creator of a large number of popular Marvel comic characters, was 95 years old. He often made cameos in Marvel films, helped direct, and loved what he did. Those years of success helped him build wealth and a legacy that would outlive him for centuries. So, what was Stan Lee’s net worth at his time of death? Before we get into his finances, you have to know what a huge deal Stan Lee was to so many people and why. Stanley Martin Lieber (Stan Lee) was born in Manhattan on December 28, 1922. Throughout his childhood, he was influenced by various books and movies, especially those depicting Errol Flynn as the hero. His family suffered financially after the Great Depression, forcing them to move to The Bronx. Lee and his younger brother shared a room while their parents slept in the living room on a foldout couch. There he attended DeWitt Clinton High School, where he graduated early at the age of 16 1/2. During his teens, he enjoyed writing and hoped to write the “Great American Novel” one day. He also spent time writing obituaries and press releases, in addition to some odd jobs like delivering sandwiches, office work, ushering, and selling subscriptions to the newspaper. After graduating from high school, Lee joined the WPA Federal Theatre Project. With help from his uncle (Robbie Solomon) he was able to get an assistant position at the Timely Comics division of Pulp magazine. Timely eventually evolved into Marvel Comics. At first, Lee’s main duty at Marvel was to refill the inkwells for the artists. He would also get lunch and do proofreading. Lee didn’t make his comic-book debut until May 1941. He debuted with the text filler Captain America Foils the Traitor’s Revenge. This is the first time he used the name “Stan Lee,” which he later changed to his legal name. Lee revealed he used a pseudonym so that if one day he wrote the “Great American Novel” he would not be embarrassed by his time at Marvel. At the time, comic books meant you assumed a lower social status. Eventually, he graduated from writing filler to crafting actual comics with a backup feature. His first superhero co-creation was the Destroyer in Mystic Comics #6 (August 1941). He also co-created Jack Frost and Feather Time in two other comics that month. After two of his superiors left the publisher, Lee was swiftly promoted to interim editor at the age of 19. Lee was able to display a knack for the business and remained editor-in-chief (and art director) until 1972. It is also important to note that Lee served in the U.S. Army from 1942 until his return from WWII in 1945. Over time, Lee became the figurehead and public face for Marvel. He’d frequently make appearances at conventions, lectures, and panel discussions around the country. And, in January 1977, Lee and John Romita Sr. launched the Spider-Man comic strip. At the time, neither of them knew how successful the character would be. In 1981, Lee moved to California to develop Marvel’s television and movie properties for which he served as an executive producer. And, as many fans know, he made cameo appearances in every film. Lee stepped away from his regular duties at Marvel in the 1990s. However, he continued to receive an annual salary of $1 million from the company as Chairman Emeritus. In 1998, he began an Internet-based superhero creation, production, and marketing studio called Stan Lee Media. The company grew to 165 people and went public in 1999. Unbeknownst to Lee, two of his business pals were involved in illegal stock manipulation, forcing the company to file for Chapter 11 bankruptcy in February 2001. Fox created a successful X-Men film in 2000 which brought Lee back into the comic game once again. After the blowout success of the first film, Lee sued Marvel for his share of the profits. Lee said that because he co-created the characters, he deserved some of the profits. He and Marvel settled in 2005 for an undisclosed seven-figure amount. Marvel also promised to pay him 10% of any future profits. Since then, he has worked on a number of different projects with numerous companies. There is no doubt he took the comic book world over. In fact, there’s no way to think about Stan Lee without thinking about comics. What did this HUGE career do for Stan Lee’s net worth? At the time of his death, Stan Lee was estimated to be worth $50 million. While that doesn’t seem like it is a lot, there are a number of lawsuits in Lee’s career that dented his net worth over time. He also once said that he should have been greedier. Although he practically made the Marvel universe, he didn’t always profit from it. He started at Marvel in 1941 for just $8 a week. Throughout the decades Lee was with Marvel and working with Marvel, the company was bought-and-sold multiple times. However, because Lee was never an owner, he never cashed in on any of those sales. Later in his life, it seemed Lee was plagued with lawsuits. As you know, he sued Marvel. Just earlier this year, he also sued POW! Entertainment for $1 billion in damages for fraud, claiming he was tricked into signing away rights to use his identity. He was also known to be a bit gullible and fell victim to scams and conmen throughout his life. It has also been reported that Lee was mixed up in a lawsuit with his daughter over elder abuse. “Lee stands at the center of a nasty battle for his care (and estate) as one friend pleads for help: ‘He’s in need of a superhero himself.’” the Hollywood Reporter reported. Lee also moved a number of times within the Los Angeles area. His first Hollywood home was priced around $3.6 million and sold for $3.75 million. It has also been reported Lee bought-and-sold a number of other homes in the area, ranging in price from $4 million to $5 million. Get a Load of Judy Greer’s Net Worth!